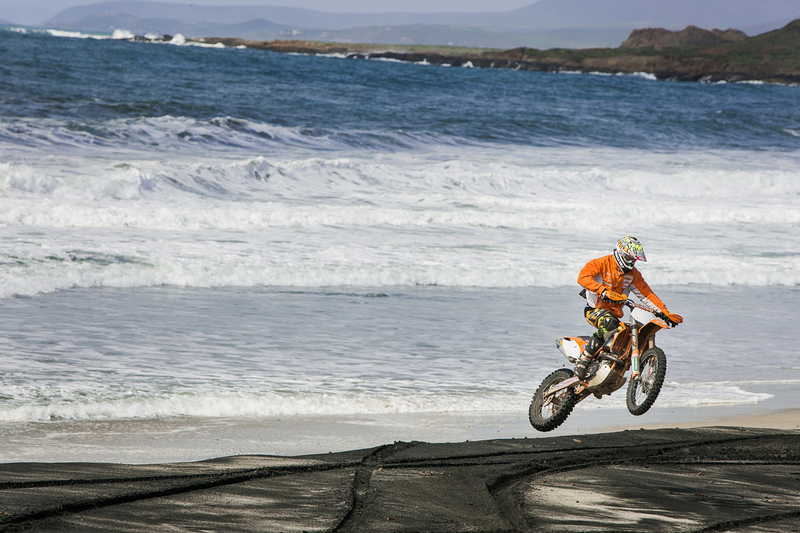 This photo of off-road legend Kurt Caselli was snapped a few years ago during FMF's annual Baja Bonanza ride. It was during a lunch break halfway through day one. Before taking off his helmet to sit down for some food, he decided to rip a fresh set of tracks on the beach. Kurt was an amazing rider, but will always be remembered for the man he was. Don't miss the annual Kurt Caselli Ride Day benefitting the Kurt Caselli Foundation at Glen Helen Raceway on December 4th. For more information, visit www.kurtcaselli.com. Kurt having fun on a beach down in Baja.